EZTV has had a turbulent past. It grew and became one of the most popular torrent sites for TV series fans until a hostile takeover closed it down. Its founders decided to make it a website free of advertisements and relied exclusively on the work of volunteers. This clean interface made it one of the favorite destinations for people searching for torrents, but who also wanted to avoid being blasted by ads and popups that other had. 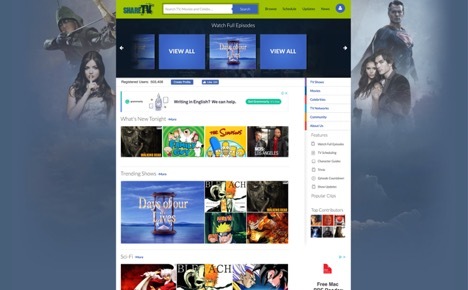 After being offline for some time due to its takeover, the EZTV website was relaunched under a new domain and is now populated with hundreds of torrents offering TV programs from around the world. There are some ads on the new site, but these can be avoided by registering for a free account. EZTV is perfect for keeping up to date with current episodes, but if you are in the mood for some binge series watching, there are plenty of old episodes listed. As with most torrent sites, there is no content hosted on the website so you will need to use a torrent program such as Vuze or uTorrent to download what you need. Since most torrent sites are unstable, it is always a good idea to have other options available in case one goes down. Here is a short list of some sites like EZTV you could find useful. Most of the websites like EZTV offer a list of torrents from many different categories. Movies, TV shows, music, games, and others can be found here. The built-in search engine makes finding what you need very easy, and content is updated every day. Check the latest torrents page for fresh content that has been released recently. While some sites like EZTV are known by many, others are not so easy to find. 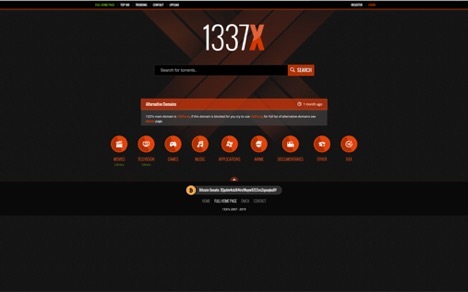 1337x is one of those hidden gems that are packed with great content. Its simple interface makes it easy to find what you want, and most of the results have comments from other users which you can read to avoid downloading something that is fake or has audio or video errors. Torrentz was once the second most popular torrent site in the world. Having just a user menu and a search panel, plus a search field which was autocomplete-enabled, made it the preferred destination for users who wanted to do a quick search with no fancy add-ons. In 2016 the site was shut down by its operators, but the new domain Torrentz2 is trying to replace it and already has over 60 million torrents indexed. While EZTV is about TV shows, Yify is about movies. All the latest releases are available in high-definition, and some in 3D quality. What makes this site stand out from other sites like EZTV is their design; when you click on a movie’s thumbnail, you are taken to a page full of information. Critic ratings, movie cast and synopsis, the movie’s trailer, and its reviews are shown, along with links to download it via a magnet link or at Usenet. ShareTV is an EZTV alternative where you can find many tv episodes to watch online. Some are offered for free, but for others, such as Game of Thrones, you will have to pay for. There is plenty of additional content to keep you busy, with sections discussing episode and character guides, DVD release schedules, trivia, and TV news. Another good EZTV alternative website where you can find daily updated content. Make sure to visit Today’s Torrents and Yesterday’s Torrents pages if you want to see the freshest content. Everything is neatly organized into several categories, but you can also use the built-in search engine to find exactly what you want. No list of sites like EZTV would be complete without having the king of torrent websites present. The Pirate Bay has survived legal battles and domain seizures and is still considered the largest torrent site in the world. That is why it is called “The galaxy’s most resilient BitTorrent site.” No matter what you need, this is the place to search for it.